We are dedicated to helping you achieve your educational goals, and scholarships are one valuable tool to do that. Each year, LU awards more than 2,000 scholarships providing more than $10 million in assistance to students. Most scholarships are awarded based on academic achievement. Other factors such as academic major, leadership ability and specialized skills (athletics, marching band, music, etc.) also may be considered in awarding scholarships. For a complete list of all Lamar University scholarships, click here! For priority consideration for most scholarships, apply no later than February 1 each year (some unique opportunities require earlier deadlines). Step 1. Submit an application at ApplyTexas.org. Step 2. Once you are admitted, you will receive a username and password by letter via email. If you have any questions please do not hesitate to contact us or visit our frequently asked questions page. Academic Excellence Scholarships are available to first-time-in-college freshmen (dual credit and AP credit are not disqualifying) with a minimum SAT (CR + M) score of 1150-1290 (test taken Before March 5, 2016) / 1200-1320 (test taken After March 5, 2016) or an ACT score of 25-28 AND must be ranked in the Top 25%. The Academic Excellence award will give students $24,000 over four years:. $3,000 per year will be applied toward tuition and $3,000 will be applied toward on-campus residence hall. The Cardinal Elite award will give students $32,000 over four years: $5,000 per year will be applied toward tuition and $3,000 per year will be applied toward on-campus residence hall. Students receiving the Academic Excellence or Cardinal Elite scholarship are invited to fill out the supplemental LU Scholarship application at www.lamar.edu/myscholarships. The supplemental application will match your qualifications with other endowed scholarship awards. Endowed scholarships will be awarded after the February 1st priority deadline. The Mirabeau Scholarship is part of LU's Top Scholars Program. Outstanding incoming freshmen with exceptionally strong academic records are invited to apply. Mirabeau Scholars receive a full scholarship for four years covering tuition, fees, room and board, and books. Applicants should be: first-time-in-college freshmen (dual credit and AP credit are not disqualifying) with a minimum SAT (CR + M) score of 1330 or an ACT score of 29 and a record of demonstrated excellence in academics, leadership, service and/or creative endeavors. Mirabeau Scholarship applicants must first apply and be accepted for admission to Lamar University. To apply for a Mirabeau Scholarship, you should submit a letter of interest that presents a personal statement of your academic goals and intended major, along with a current resume, and three letters of recommendation (two of which must be from your current teachers). If you have already been awarded scholarships by us, that fact must be disclosed in the application. Applications for the LU Top Scholarship Program: Mirabeau Scholarship should be submitted online at lamar.edu/myscholarships. All application materials should be submitted no later than January 1st. Check out 2017's first Mirabeau Scholarship recipient! The Southeast Texas Legends Scholarship is part of LU's Top Scholars Program. Outstanding incoming freshmen are invited to apply. SETX Legends Scholars receive a full scholarship for four years covering tuition, fees, room and board, and books. Applicants should be: first-time-in-college freshmen (dual credit and AP credit are not disqualifying) with a minimum SAT (CR+M) score of 1330 or an ACT score of 29 or greater with a record of demonstrated excellence in academics, leadership, service and/or creative endeavors. Students must also complete a FAFSA and demonstrate financial need. Southeast Texas Legends applicants must first apply and be accepted for admission to Lamar University. In addition, you must submit a letter of interest that presents a personal statement of your academic goals and intended major, along with a current resume, three letters of recommendation AND complete the FAFSA. Applications for the LU Top Scholars Program: Southeast Texas Legends Scholarship should be submitted online at lamar.edu/myscholarships. All application materials should be submitted no later than January 1st. Incoming freshmen who apply for the Honors College will automatically be considered for honors scholarships. Continuing honors students and transfer students will find information on applying for scholarships on the Honors College website. Texas resident transfer students with more than 30 but less than 90 transferable semester credit hours are eligible for a scholarship of up to $3,000 a year. For more information please visit the transfer scholarship website. 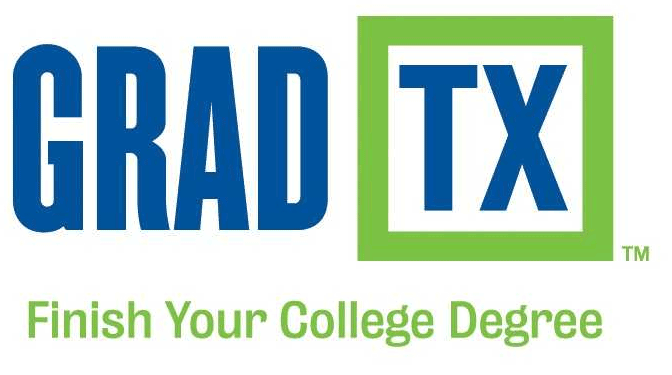 Grad TX is a program designed to help adults return to college and finish their bachelor’s degrees. Balancing family, work, and school can be daunting. Returning to school after a break might seem overwhelming. The Grad TX program is designed specifically for returning students to help them overcome these and other obstacles. If you want to return to college and finish your bachelor's degree, start here with Grad TX! External scholarships are developed and funded by private organizations. They’re available to the public and can potentially help students cover the costs of their education and education-related expenses. Student eligibility rules are created by the organization offering the scholarship and can depend on many factors. For a list of local scholarship Opportunities and suggested search engines, visit the <a href="https://www.lamar.edu/admissions/paying-for-college/external-scholarships.html">external scholarships website</a>.